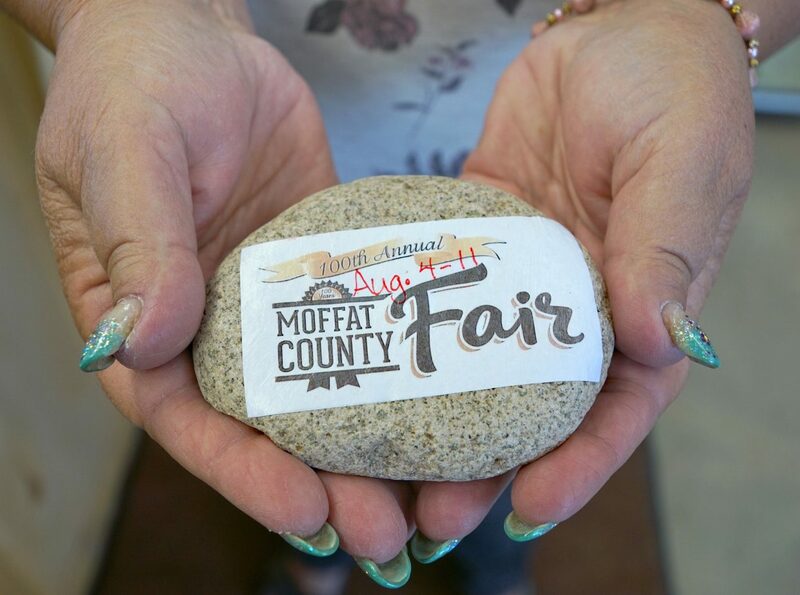 The 100-year Moffat County Fair is being promoted, in part, with 100 rocks hidden across the Yampa Valley. 2018 Moffat County Fair ScheduleMore information at moffatcountyfair.com.The latest updates can be found on Facebook at facebook.com/moffatcountyfair. CRAIG — Competition is already underway for many 4-H participants in the lead-up to the 100th Moffat County Fair. To help generate excitement and encourage participation in the fair, 100 rocks, each with a special fair logo, have been hidden in Hayden, Maybell, Craig and Baggs, Wyoming, for people to find, then keep or re-hide. One-hundred-year Fair Committee member Joanne Roberson decorated the rocks using modge podge. Roberson, who has supported the fair for more than 25 years, said she was honored in 2010 when the fair was dedicated to her. She said she hopes the rocks will encourage everyone to participate in the fair — a community tradition. The 100-year Fair Committee was formed about a year ago to assist the Moffat County Fair Board both in reviving old traditions and creating new ones. 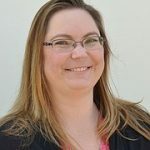 Fair board member and 100-year Fair Committee chairperson Mardi Anson said anyone in the community who wanted to help with the 100-year fair has had the opportunity to lend their ideas. “The goal was to create as many opportunities for people to participate in the 100-year fair as possible,” she said. Among the events planned is a Founder’s Day Luncheon, to be held at 1 p.m. Saturday, July 28, in the park in Maybell, where the first fair was held a century ago. The free lunch will be a community potluck, and attendees are asked to bring a dish to share. Meat will be provided. There will be a number of fun events on offer, including lawn mower, gunny sack and three-legged races around the park. At noon the next Friday, Aug. 3, an old-fashioned parade with an announcers booth will kick off a week of events at the Moffat County Fairgrounds in Craig. Parade participants will each receive a commemorative coin. The coins will also be on sale throughout fair. From turtle races to a nail-driving contest, the 100-year Fair Committee has tried to create a list of activities and fun family events. For a complete listing of events and how to participate, check the Moffat County Fair website and Facebook page.